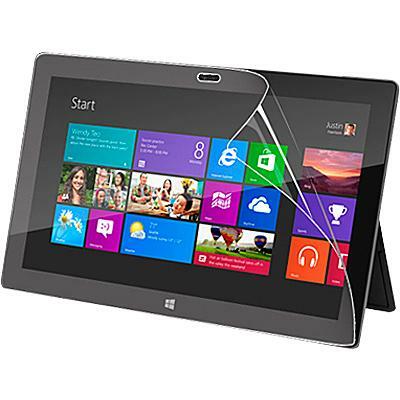 High quality Microsoft Surface RT screen protector is made of a special material that reduces glare and is scratch resistant. Full access to the touch screen Microsoft Surface RT. screen protectors is exactly what you need to keep that beautiful screen looking brand new. Electronic Accessories, USB Cable, Battery, AC Charger, Car Charger, Memory Card & Reader, Bag & Case, Stylus, Clean Kit, Earphone, AV Cable, Parts for Cell Phone, PDA, Digital Camera, Camcorder, MP3, GPS, Computer and Laptop. Copyright ©2007-2019 MartGreat.com All Rights Reserved.